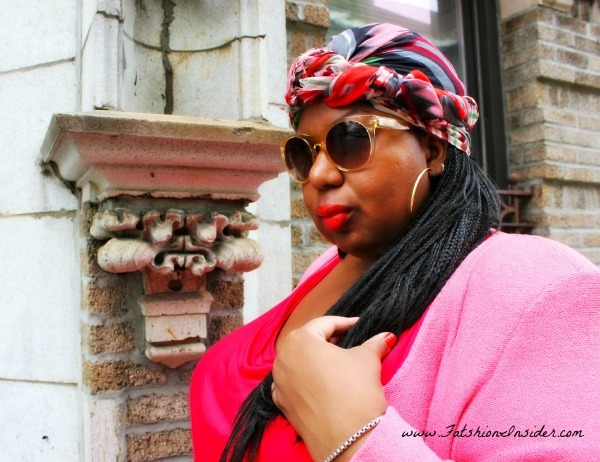 I go through fashion phases, and right now I'm more than a little obsessed with head scarves. Perhaps it's the braids or the ever fab "tribal" trend which, let's be honest...nobody would ever have to twist my arm to looove. Either way, I'm a fan. 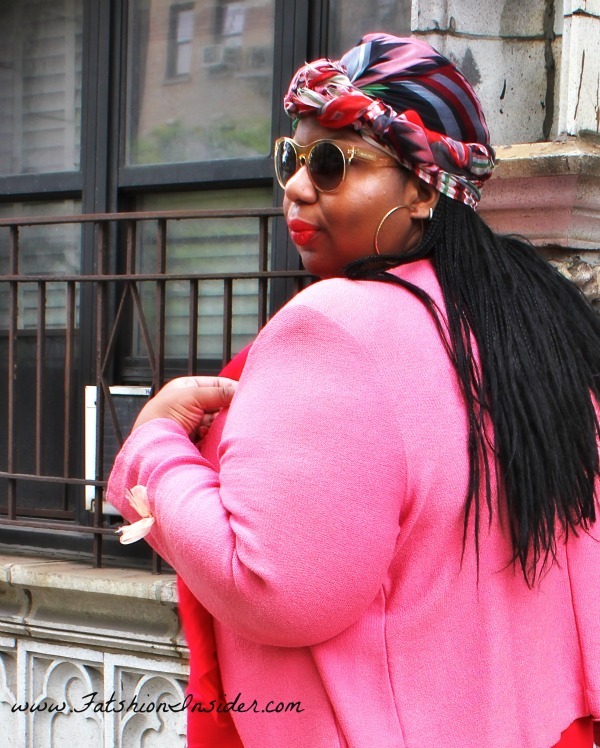 I got this Seven7 brand jersey dress from Lane Bryant and was really pleasantly surprised. It's incredibly comfy but the double layered front of the dress and smart draping, and stitching give it great structure. 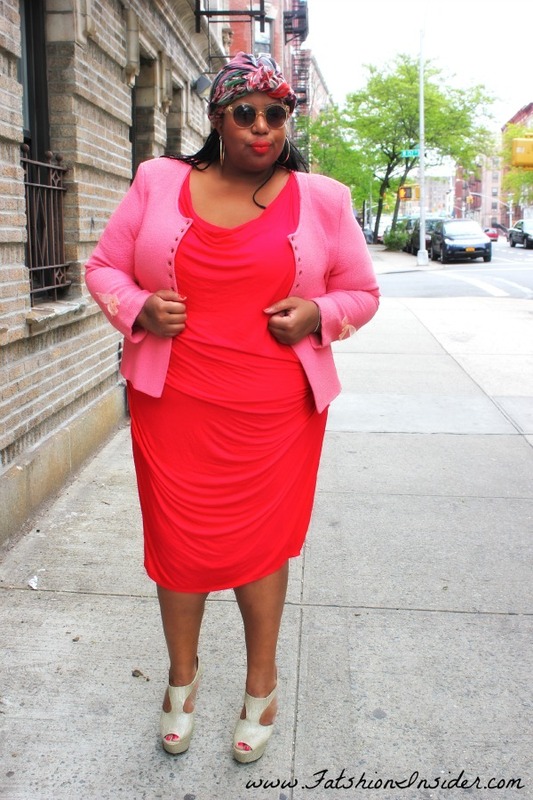 Since the weather hasn't quite broken yet, I've been having fun topping dresses with blazers and other fun jackets. 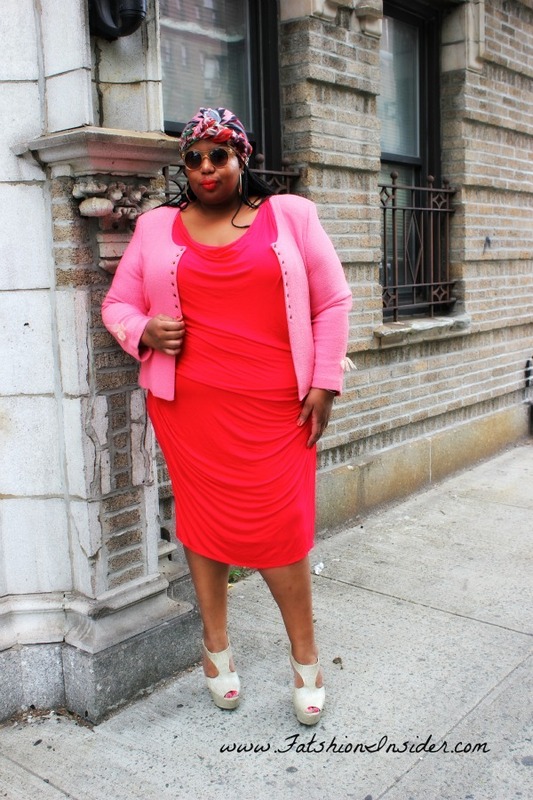 By the way... pink and red, yet another delish color combo ripe for spring.